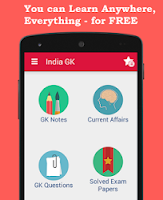 19, 20 January 2018 Current Affairs MCQs, Quiz, Questions: Current Affairs for January 2018, Daily Multiple Choice Questions (MCQs) for India GK, World GK and current affairs with Collection of daily objective type Question by www.Indiagk.net based on General Knowledge (GK) and General Science (GS) Questions for UPSC, State PSC, SSC, Police exam, Railway exam, SBI, Bank PO, IBPC, SSC, LDC, UDC, Army, Airforce, Navy, Coast Guard, Bank Clerk, TET and all entrance examination with current affairs News, Multiple Choice Questions (MCQs) available on Website www.IndiaGK.net and Android Apps with daily updates:. Which state has become the India’s first state to launch Public Cloud Policy to speed up e-governance? Which company acquiring 51.1% government stake in HPCL? Which state government has launched Nanaji Deshmukh Krishi Sanjivani Yojna to promote climate-resilient agriculture? Which country becomes 43rd member of Australia Group export control regime? Which bollywood star was Honoured With Crystal Award at World Economic Forum? Which country’s team has won the 5th edition of Blind Cricket World Cup 2018? Who has become the new Governor of Madhya Pradesh?